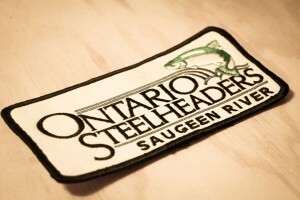 By joining the Ontario Steelheaders you are joining a group of fishermen, woman and children who enjoy the rivers, lakes, streams, fishing, camping and nature in general and want to enjoy activities on the beautiful Saugeen River for future generations. Membership in the Ontario Steelheaders provides a vehicle for you and your family to support the rehabilitation, egg collection, adult fish transfer, smolt release, and to have input to the decision making processes which effects change on the Saugeen and other Ontario Rivers. By joining, your also showing that you care enough about the fishery that you’re willing to join a group of individuals that want to get as much as they can from what the fishery has to offer while maintaining its natural beauty and resource. Engage in member meetings and voice your opinions on topics concerning local fisheries and headwaters. Aid in the fish transfer & egg collection process. Participate in stream rehabilitation and smolt release. Ontario Steelheaders has representatives collaborating on a number of advisory committees where we express the concerns and viewpoints of our members. Stay on top of potential laws and agreements concerning local fisheries and Ministry of Natural Resources. Receive and contribute to our bi-annual newsletter by mail and email. Compete in our family-oriented, bi-annual fish derbies held at Dennys Dam Park. It’s well known if you want to improve at something, you need to surround yourself with people who are just as eager to learn. as well as being involved with people who have the experience to show you how. 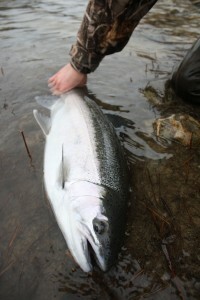 Within the Ontario Steelheaders many of our members are experts at targeting salmon, steelhead rainbow trout, brown trout, lake trout, carp, catfish, walleye (pickerel), perch, whitefish, muskie and other Ontario game fish.